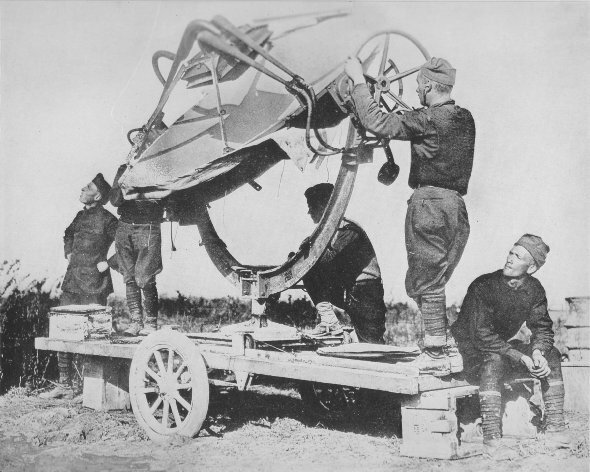 Portable paraboloid, used for locating aircraft during the war, in operation. 2nd Lt. Fred Bollt, in charge. Monyblainville, Meuse, France.